When the reboot of Superman was announced, and pictures shown of the star Henry Cavill in the new suit, fans around the world were divided into those that craved for the past, and those that loved the vision of the future. For me before I saw the movie, I was certainly the former, where I disliked the suit and thought he didn't match the look of Superman at all. But after seeing the movie, I was totally converted! I loved the movie, save for the last 15 minutes of the Superman/Zod climactic battle, which I thought was overblown and unnecessary. But pretty much everything up to that point had me hooked and sold - the history told in flashbacks, the new sharp and sassy Lois Lane, the relationship with his earth parents, Zod and his horde of Kryptonian rejects - I loved all of it! And I really felt that Henry Cavill made the role his, and was the perfect start to a new era of Superman. My excitement was a little dimmed when Hot Toys first showed their prototype pictures of the Man of Steel figure. It was clear that something was wrong with the body, which looked very bloated and too "rotund" for Superman, especially compared to the buff form of Cavill in that suit. 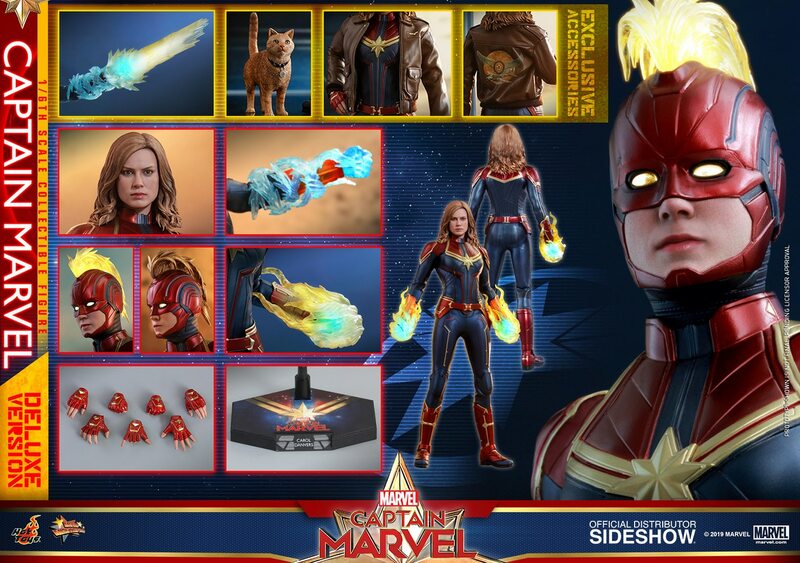 But as always, Hot Toys tweaked and fixed certains things from the prototype to the final released product, and for the most part, the new figure is pretty amazing! There are some quibbles though, which I'll go into below - so read on if you're interested in how this 200th MMS release from Hot Toys turned out. I was actually a little disappointed with the box art and packaging. The previous Christopher Reeve Superman figure came packaged in a gorgeous art box shaped like the S-symbol which remains one of their all time best box designs. Some other MMS releases feature a shoe box design with a large art/photo cardboard insert. Unfortunately, the Man of Steel figure comes in a simple fold out design which you then have to open up to access the figure. It's simple enough, but just doesn't convey the class/style that I was hoping for in this major release. Accessories wise, the figure is pretty light on in this department too, but I guess it's hard to see what else they could've included with the figure from the movie. The figure comes with the usual array of hands for appropriate poses such as the wide jazz hands to the flying hands to relaxed hands or fists. It also comes with a very large (too large!) stand emblazoned with the new Superman logo. This stand is special in that it is the new dynamic stand design that Hot Toys also released separately to allow for posing figures in flight. It's a shame the base is just too large for its own good, and really takes up a lot of critical space in the display shelf. The flight pole itself is quite long and is essentially a long steel rod that is flexible enough to be bent into position. The only issue is that Hot Toys did not provide their usual "crotch grabber" stand for the situation where you just want the figure standing on the ground! Luckily the figure seems very sturdy, with strong ankle joints, so toppling off the display shelf should be rare. I would not recommend having the figure held up on the flight stand for long periods of time though. The securing device is padded with foam, but the figure is quite heavy and long term posing in flight will leave marks on the very delicate suit (more on that later!) So I would use the flight stand only for the odd photo opportunity, and have him stand for most of the time. One nice display option with the flight pole is to bend it down so that the cape can be draped over it to give the natural wind blown effect to the cape. The last two accessories are identical save for the fact they are in different scales. Hot Toys provided the command key in 1:1 scale in a nice metallic finish, and also created the 1/6th scale version for the figure to hold. Overall the paint app and design are nice, but there aren't that many display options for these. The figure itself has some amazing standout features, but also has some flaws. Starting with the positives, the head sculpt on this figure is amazing, and is a pretty spot on likeness to Henry Cavill. The paint app is very realistic, and gives the figure a great stoic and heroic presence on display. The other stand out feature (which is also its curse), is the suit. The material, texture, and overall aesthetic of the suit is superb, and looks like it just stepped out of the movie into your lap. The incredible patterning applied to the suit is extremely detailed. It seems like a very similar technique to that used for their previous Black Suit Spiderman figure, this time without the sticky feel. Despite the awesomeness of the suit material, there are a couple of issues with it. The suit is sewn on, and has a very skin tight fit over the figure. Articulation is pretty great with the base body, but a lot of care is needed to get the figure into decent poses so as not to damage the suit. Raising the arms into flight poses definitely needs some patience to gradually move the suit into position as you move the arm to prevent tearing. There have already been numerous photos posted online of tears to the suit, especially under the arms, where the suit was just stressed too much when moving into those poses. The other issue with the suit relates to some of the patterning over the top of the suit. Areas such as the belt buckle and black/yellow line markings on the sides of the hips and torso, are all glued on top of the suit, and the symmetry and quality of the glueing down will vary from figure to figure. On mine, the tip of one of the hip line marking was coming away from the suit. A little tiny bit of craft glue fixed that problem, but it was still an annoying fault on such an expensive item. But all of these areas may be affected by dynamic poses that you would want to place the figure, so be very careful in how you twist and turn the torso and suit. Otherwise you may find these areas of the suit becoming unglued very quickly. The cape is pretty good though, this time with no wire to assist in holding those flying poses. However, due to no wire, the cape does flow and sit much more naturally over the back, which is good. The cape is made from a nice soft felt-like material and drapes well over the flight pole. Perhaps the biggest issue with this figure can probably be seen in the photo above of the two Superman figures together. The size of the Man of Steel figure seems to too large, as though the scale is slightly larger than 1/6th scale. Either that or many of the previous figures were all too small! The Man of Steel stands significantly taller than the Reeve Superman figure, despite the fact that Reeve was taller than Cavill in real life! You can see from the photos that the legs of the figures are almost identical in length, but it's the key torso area where the new Man of Steel figure totally outsizes its predecessors. The height difference is even more marked when posing the Man of Steel next to the DX12 Dark Knight figure! Here in my display, it's fortunate that the Batman figure has a rather tall stand which gives the impression that the figures are roughly the same height. But if both figures were standing toe to toe, the Man of Steel literally towers over the Batman figure, and it just doesn't look right. Another minor issue with the suit has had many brave customisers making modifications to the suit. You may have noticed that the collar of the neckline is raised above the chest s-symbol such that there is a fairly wide gap. In the movie, there are very little gap, with the neck line pretty much at the top of the s-symbol. So many collectors have taken to removing the collar and cutting away some of the suit and essentially lowering the collar to that s-symbol line. The mod certainly makes the figure more movie-accurate, but I for one have zero skill in that sort of customising, so I won't risk ruining the figure to make that change. Despite the issues I've mentioned above, the figure is still an amazing piece of art. If you're displaying it alone in your display, it will command significant presence, and looks amazing in all lighting conditions. With the combination of an incredibly accurate head sculpt, to the beautiful material of the suit, and the natural drape of the cape, the figure will most definitely make an awesome addition to your collection!